The look and feel of your event is as vital to creating the right ambiance as the guests you invite. It’s important to get your event furniture rental right if you want to stand out and impress. Here we take a look at the top event trend predictions for 2017, and the furniture you should be renting to make your event a success, whether it’s a wedding, corporate event or party. Gone are the days of stuffy, formal dinners and lecture theater-style seating. Modern event planners are looking to encourage more communication and interactivity between guests. This can be achieved with lounge groupings and artfully arranged clusters of geometrically shaped benches and stools. These make for attractive and versatile seating arrangements that, where possible, can allow guests to relax and mingle comfortably. The trend for muted color palettes that became so popular last year looks set to continue right through 2017. Whites and grays remain the most popular shades, but according to Kevin Dennis of Sound Event Services, we can also “expect to see a lot of navy blues popping up.” Ideally, he explains, color schemes should pair well with natural elements such as flowers and greenery, which are increasingly being incorporated into events. However, the minimalist palette can be broken up with brightly colored cushions, which add an element of fun and relaxation. Metallic shades are also hot this year. Silver, gold and copper elements are increasingly popular at weddings, a trend that has originated in France and spread throughout the world. Celebrity wedding planner David Tutera explains that combining white with metallic elements creates the “contemporary yet city hip vibe” that is ideal for modern weddings. The trend for muted colors accented with metallics is ideal for seating, table decorations and other accessories throughout the venue. Events have long been associated with hard, uncomfortable seating that nobody relishes the idea of sitting on for long periods of time. Event planners are increasingly opting for soft seating that is much more conducive to relaxing and socializing. Plush fabrics with interesting textures, such as velvet and linen, are the ideal coverings for furniture at events. This is especially true at corporate events, where delegates are looking to unwind from the stresses of their regular working days. Wooden furniture is also becoming an ever more popular choice, as it complements the current trend for incorporating natural elements such as flowers and greenery into event décor. Wooden furniture also has the added advantage of being suitable for both indoor and outdoor use, which can be ideal if you are holding your event in the spring or summer. This means it’s never been so important to get your choice of venue right in order to create the look and feel you want for your event. The trend for minimalist styling can often best be incorporated into large warehouse-style spaces. These can serve as blank canvases, allowing you to use your own creativity when it comes to styling. However, if you feel your guests are likely to have more opulent tastes, you may want to try mixing the edgy industrial look with the glamour of the Art Deco style currently making its way onto the hottest trend lists for event styling. Natural surfaces such as wood and marble can work especially well to achieve this look. Accessorize with gold or metallic ornaments and details. Mirrors with ornate frames can also help to create the luxurious feel of times gone by, as can adding large chandeliers. One trend we can expect to see again and again at events and weddings in 2017 is elements of the outdoors being brought inside. Decorations are being kept natural, with plenty of greenery and flowers featuring largely at a huge variety of events. Incorporating natural features encourages a sense of wellbeing in your guests, and will lead to them relaxing and mingling more quickly, taking some of the stress off you as the organizer! Technology has always been important at conferences and business meetings, but these days few of us are willing to go anywhere without our favorite gadgets. It’s important to incorporate tech solutions to make life easier for your guests, no matter what type of event you’re planning. Technology can be included in your event in a variety of ways. It can be a good idea to make sure your guests have easy access to plenty of power points and phone charging stations. Bluetooth can also be used to help your guests find their way around your venue. It’s important to give a lot of thought to the layout of the venue. You want to make sure it’s as easy as possible for guests to navigate, so that your event can run as smoothly as possible. Lighting is the best way to create mood at your event, but these days it doesn’t have to be limited to ceilings and walls. Illuminated furniture is rapidly gaining popularity at all kinds of events. 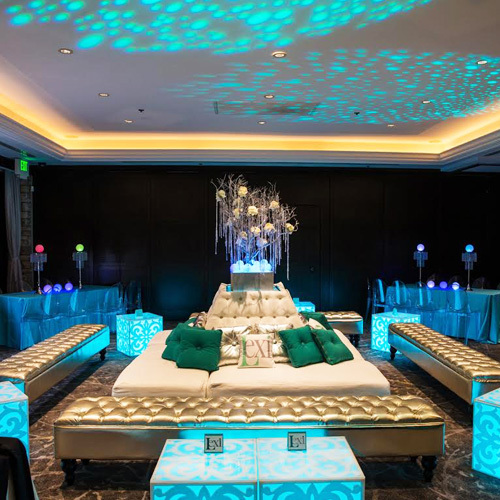 Couches, tables and stools lit by LEDs in a variety of colors are a great way to create ambiance and help your guests relax. They’ll also provide a talking point to help guests get to know one another more quickly. 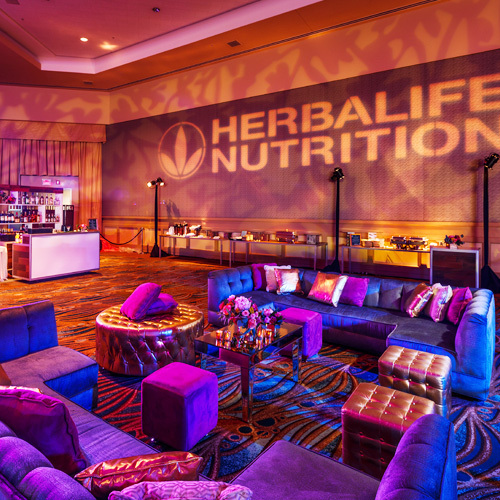 The event furniture rental experts at Lounge Appeal can help you choose exactly the right furniture to create the mood you want and keep your guests happy. 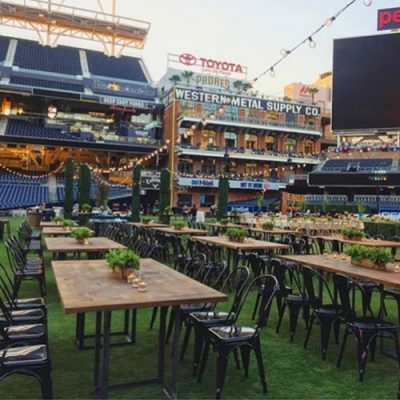 Catering for both indoor and outdoor events in Los Angeles and San Diego, they can supply a wide variety of different furniture types and styles, so you can achieve the perfect look and feel at your event. Contact Us Today, call 888-229-2220 for further information and advice about how to style your event this year.